The selection of trendy bars in East London is huge,they do vary from very student like bars to upper class establishments (Shoreditch house) but what I ideally what I look for in a bar is a balance of high end interior decor with a laid back attitude. The Commercial Tavern in Commercial Street E1 is beautiful. 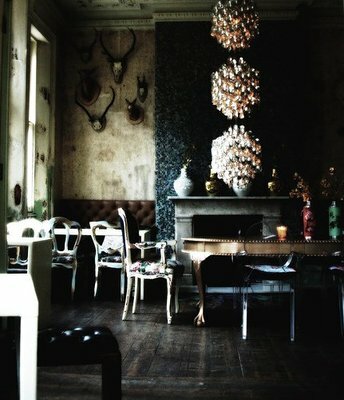 Aged or purposely distressed to suit the building, the decor has been cleverly styled with a very broad eclectic taste. My favourite features of this bar include the lighting, all of which are cleverly chosen but each space is different so I couldn’t list them all. 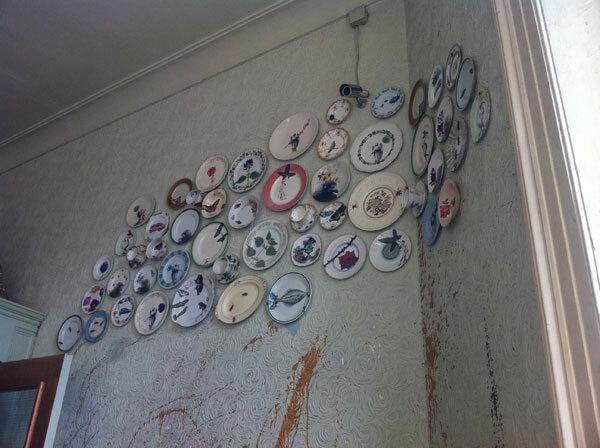 These decorative plates spray across two walls in the corner of the first floor. Each plate is different, looking like they were found in a second hand shop. Revamped with a clever use of transferred images of nature. Again each image is different but this has been brought together but the graphic style of the prints. 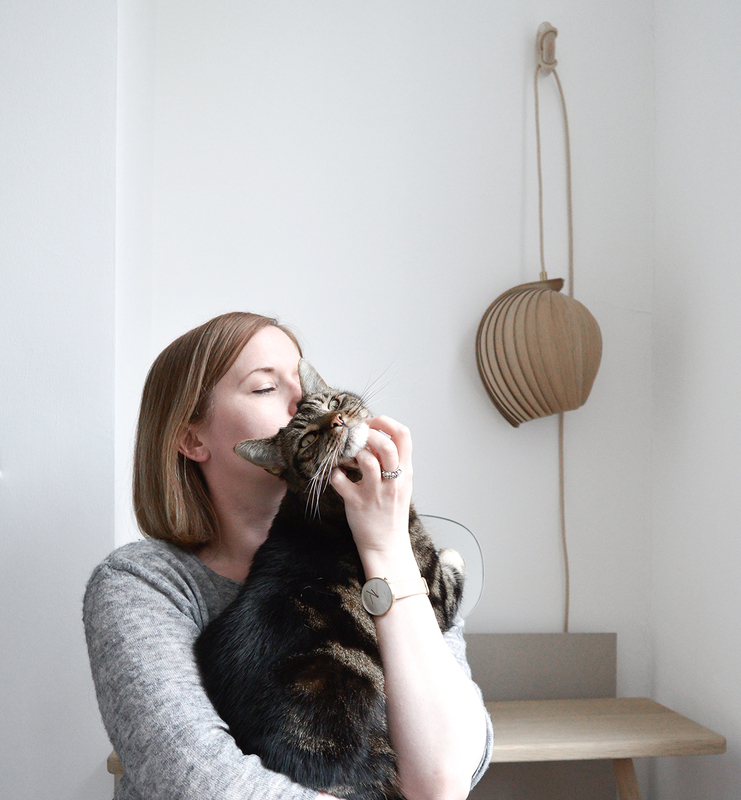 They work so well together because they are so individual.